Victor was drawn to the beauty and challenges of fly fishing and tying flies from an early age, and sharing this passion with others has been another way to enjoy the sport. But it has been in teaching our veterans fly fishing as a way to deal with the stress of physical and mental challenges that has made it an even greater passion for Victor. 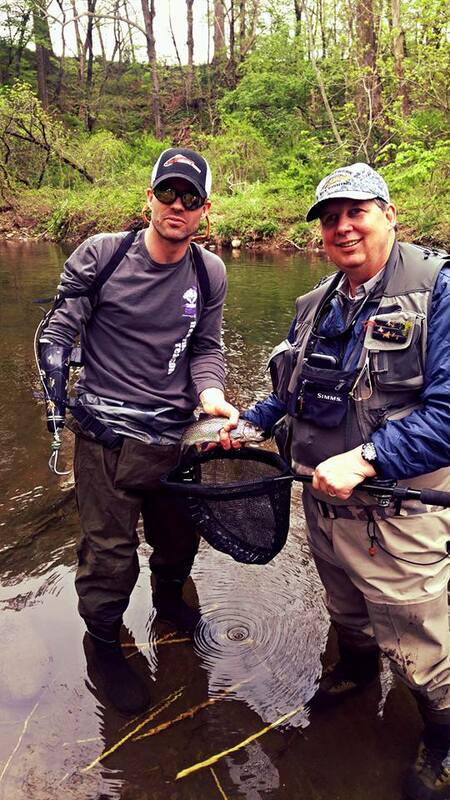 Fly fishing has been found to help soldiers dealing with injuries to cope better in the world outside of the service. “Spending time with these brave men and women of our nation’s military is a reward that words cannot adequately describe,” said Victor. Pictured below is Victor, right, with SGT (ret) Darrell "J.R." Salzman, a disabled veteran who continues to be a champion log roller, called by ESPN "among the preeminent outdoor athletes of the last decade."